One thing most moms across the board have in common it that we tend to put everyone else first. We take care of our kids, our husbands/significant others, our parents, our siblings, our friends…the list goes on and on. So many of us forget that we need to take care of ourselves too. 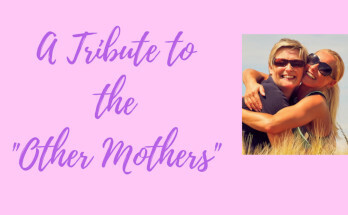 Moms, you are important too. 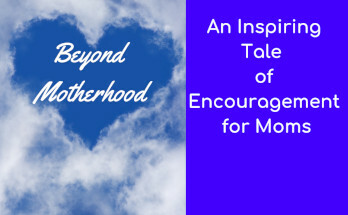 It can be very easy for moms to fall into a rut. Especially those of us who are home with kids all day can get bogged down with tasks and forget to have some me time. You know what I’m talking about: Hair in a messy bun from 3 days ago, yoga pants that haven’t seen the inside of a washing machine in over a week, wrinkled t-shirt with questionable stains, no make-up and dark circles under our eyes that could easily qualify us as an extra for The Walking Dead. And moms who work AND mom? I have to give you major props, because being a mom is hard enough by itself. Having to hold down a career with the level of exhaustion we carry around is a truly amazing feat. Here are some things that ALL moms need to do for themselves, at least once in a while. No, I am not talking about the 3 minutes of lukewarm water you get while a child is pounding on the door screaming for juice or a snack. I am talking a real, full blown shower. The kind you took before you had kids. Hell, the kind you took before you were married. 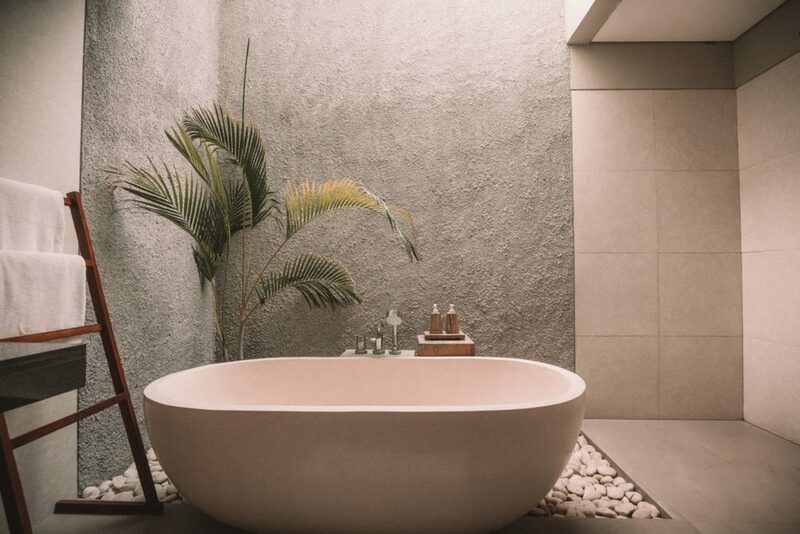 Hot water streaming down, music blaring (to drown out the sound of the kids), where you wash your hair and your body, exfoliate, and maybe even shave you legs all in one shower. Seriously, once in a while, dump the kids with the significant other, or grandma, or your best friend if you need to. Blackmail your friend if you have to with those photos from college. Do whatever you need to do to get this little bit of time for yourself. You will be amazed at how much a difference something so simple will make. And you deserve it, because you are important too. We all love something. Before we were moms, we all had hobbies, interests, and passions. Those seem to fly out the window once you have another life that’s fully dependent on you. These things are so important in helping us remember who we are. It doesn’t matter what your specific thing is. It could be reading, writing, painting, knitting, dancing, singing, or a million other things. You need to find some time to do it. 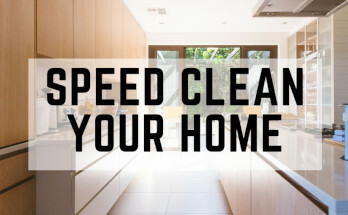 It might mean pushing a chore off once a week, or staying up past your kids’ bedtime. However you can squeeze it in, do it. 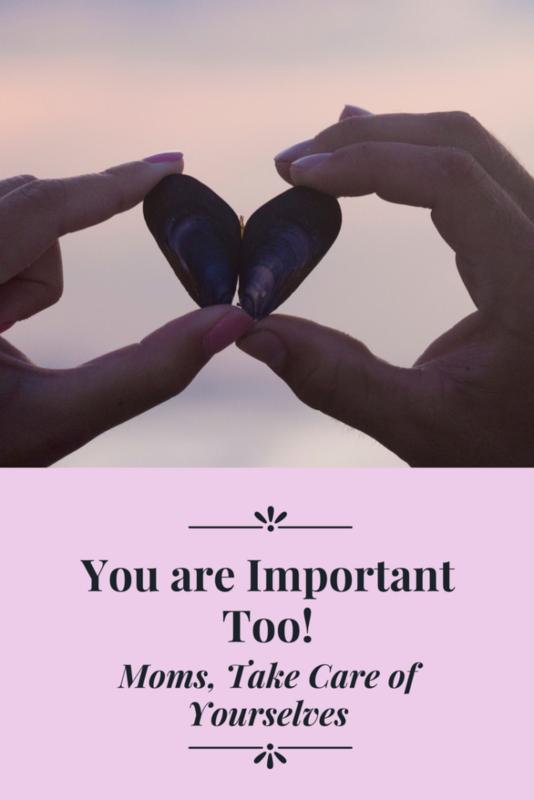 You are important too. Once in a while, you need to head out of the house without the kids in tow. Whether its just for a quick errand, or a nice long stroll through Target, it will be so much more peaceful and so much less stressful by yourself. You will be able to take your time, browse whatever you’d like, and you wont have to worry about getting home for naptime, or getting out of the store before your little one loses their patience. It will make you see even the most mundane of chores in a whole new light. This can be whatever you want. You can have dinner and drinks, or go catch the newest blockbuster with your best girlfriend. This can be as simple as a get-together at someone’s home with wine and binge watching your favorite show on Netflix. Just spend some time with other women. Sure, a nice chunk of time will be talking about your kids and spouses, or maybe your jobs, but being around other woman can be fun and it can transport you back to that feeling of being carefree and young and hanging with your best girlfriends. Not only will this keep you sane, but it will help you from feeling like you’re 30 going on 70. This is very important too. Having kids can make you go from feeling like newly-weds to the crotchety old couple that’s been married the better part of a century. Kids are a lot of work, but so is marriage. Take the time to remember yourselves before children took over your world. On occasion, go on a date. Just you and your significant other. Spend time just enjoying each other like you did when you started dating. These don’t even have to be super fancy or big events. You can make something as simple as once a week, after bedtime, you curl up and watch a favorite show and talk. Its really crucial to making a marriage work that you remember you are more than just “mom” and “dad”. You are both important too. Last year, for my birthday, I was given a gift card for Target by my own mother. I had strict instructions for its use. The gift card was to be spent only on myself, and nobody else. Sounds fabulous, right? This was one of the hardest things I’ve had to do in a long time. Seriously. It had been so long since I had bought anything for myself, I didn’t even know where to start. As I was walking through the store, I am seeing all these things jumping out at me. We could use that for the house. My son would just love that toy! Wow, look at these cute baby clothes. Doesn’t my husband need shampoo? It took me forever to actually buy something that was just for me. The experience was a real eye opener. As a mom, I always make sure everyone else has everything they need. When it comes to myself, I never seem to get around to getting what I need. I had a hole in my sock the other day, so I went to change to another pair. That pair had a hole too. Can’t remember the last time I bought new socks for myself. They always seem to fall off my list. That was days ago, and do you know what? I still haven’t gotten around to buying new ones. 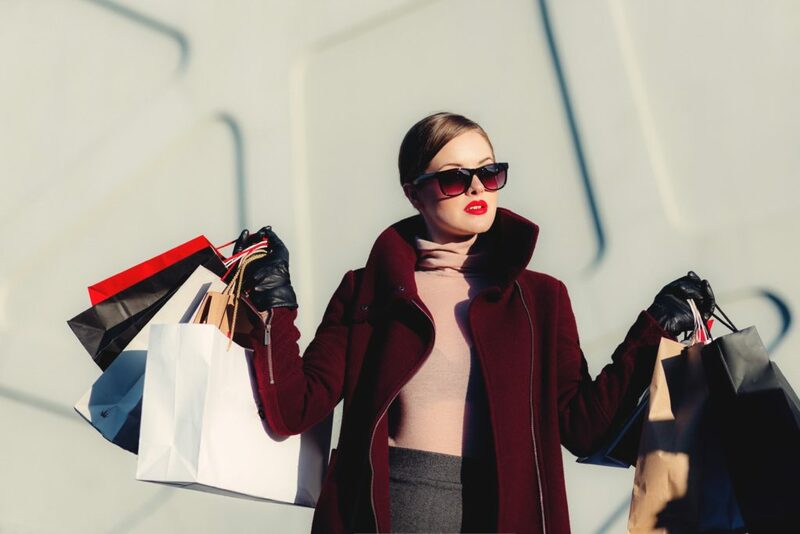 For Tips for buying something for yourself when you are a mom, CLICK HERE! Moms, if any of this has made you realize, “Wow, I AM this mom,” you’re not alone. It also means you are doing a great job for everyone in your life but you. If you are reading this and thinking, “Well, I already do all of these things,” then you are really rocking it and that’s amazing. Ladies, always remember that you are important too. For more ideas on how to spend free time as a mom, CLICK HERE! This is so true! I’m a mama of a six month old and have been working on pursing my passion as a dancer. That’s awesome! And congrats on the little one. Babies and children can take over who you are if you let them. Glad you are finding a way to chase your dream! OMG. This is absolutely me. It’s soo true. Very important ! We have to make sure we don’t lose ourself trying to take care of everyone else. Great post! Thank you so much! This is something I have struggled with in the past, and I know so many of us do. I recently wrote about how self-care for moms is so important too. I love that so many of us are realizing we need to take care of ourselves too. Great tips! Love the long shower idea! Thanks! We all need a reminder sometimes. Thank you for the feedback. This is great. Self Care is so important and as moms so hard. That’s why I started a self care series if you are interested. Very cool. 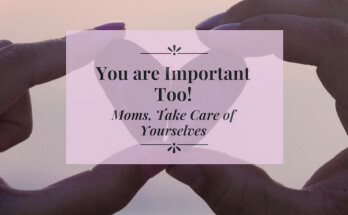 Taking care of ourselves make us better moms. What a great reminder!! Thanks for sharing!! Love this so much! My goal for this year is all about self care and I really needed to read this – thank you! So true! I’ve been wanting to create a post about this. Always putting the family and your career before yourself takes such a toll on you! My goal this year is to have at least one hour me time everyday! These are great tips! You are so right about it being hard for moms to spend money on themselves. That Target GC story…nailed it! Thanks for sharing these tips, mama!